A new restaurant and brewery has opened in Dominical, Costa Rica, providing the southern Pacific coast with the finest craft beers in the country! Fuego Brew Co. serves delicious food and locally-brewed, artisanal beers in the most stunning restaurant and bar setting in Dominical. Come enjoy happy hour and sunset views over the river and ocean; stay for a delicious meal and an opportunity to make new friends at one of the most happening spots in the zone! Fuego Brew Co. has only been open for a few months, but it is already one of the most popular restaurants and bars in Dominical. With good reason – the beers and the food are excellent. Fuego usually has three or four of its own brews on tap, depending on what is ready to serve at any particular time. Some of our favorites are the delicious Guanabana Hefeweizen and the IPA. Fuego also has other locally-brewed beers on tap, including beers from Treinta y Cinco and Costa Rica’s Craft Brewing Co. If you’ve ever been to Costa Rica, you know how rare it is to find a bar serving microbrews, let alone one that has numerous options on tap! Fuego is trulya beer-lover’s dream. And if beer isn’t your thing, don’t worry, they have wine, locally-brewed kombucha on tap, and they also mix excellent cocktails! Try the Moscow Mule or the spicy margarita. Fuego’s menu focuses on fresh, healthy food with a local twist. There’s lots of variety on the menu and plenty of vegetarian options to keep the whole family happy. You won’t find a better tuna steak anywhere on the southern Pacific coast – it’s fresh and seared to perfection! The sliders or the pintxos (skewers) are both great choices, and the option to mix and match between chicken, veggie or fish makes for a more interesting meal. The organic curry is also popular, and the onion rings are irresistible! One of the best things about Fuego is the incredible setting. The team behind Fuego has created a stunning building in the heart of Dominical. Enter through the gorgeous bamboo gate just south of Danyasa Yoga on the main road through Dominical. Follow the long, winding pedestrian ramp leading slowly through the trees to Fuego’s second floor, where therestaurant is located. Upon entering the building, a glass panel in the floor will allow you to view the brew tanks below. The restaurant is open air, with a beautiful wooden and stone bar, as well as many other artisan touches that make the place truly unique. The third floor loft is an excellent place to watch the sunset over the Baru River and the ocean, or to gather with friends in a more intimate setting. Kids also love the swing chairs in the loft! Downstairs, you will find a tasting room, where you can enjoy Fuego’s excellent beer selection in a more quiet and relaxed setting. one concert at Fuego so far, the Envision Official Afterparty, with lots of great music and great beer! Fuego’s next event will be the Costa Rica Craft Beer Festival on April 1-2. This is an event not to be missed, with 40 local breweries serving hundreds of different craft beers, as well as live music and delicious food! We can’t wait for this event and more at Fuego. For more information on Fuego Brew Co., please check them out on FaceBook or visit their webpage at http://www.fuegobrew.com. Or better yet, go to the brewery, enjoy the sunset and try the excellent beer and food! For more information about the Costa Rica Craft Beer Festival on April 1-2 at Fuego, check out their website at http://www.costaricabeerfest.com. 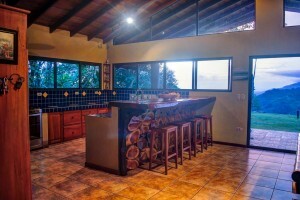 For more information on living in the Dominical area, where you will be able to enjoy Fuego Brew Co. all the time, please contact Dominical Real Estate at http://www.costaricarealestate.net. Cheers! Villa HighPalms is a two-story villa with three bedrooms and three bathrooms. The entrance to the villa is on the upper floor, where you will find an open kitchen, dining room and living room, all with gorgeous ocean views. There’s a combined terrace and patio to the side, providing more stunning beach views and lots of comfortable outdoor living area. The three bedrooms are located downstairs and all enjoy excellent ocean views as well. The master bedroom has floor-to- ceiling windows on two sides and looks over the tops of the palms to the ocean below; it has a lovely feel. There is a master bathroom and an additional bathroom downstairs; the third bathroom is located upstairs where it is accessible to guests. There are multiple options for adding a pool to Villa HighPalms. A pool could be tied into the existing patio, for example, for a seamless addition. Villa HighPalms is currently a successful vacation rental, but with the addition of a pool, it would be one of the most desirable vacation rentals in the area. Stunning views, ability to walk to the beach, an incredibly private location, regular wildlife viewings, and 24-hour community security all make this condo a perfect short-term vacation rental with plenty of potential to produce income. These characteristics would also make it a great place to call home! There aren’t too many places in the world where you can buy a beautiful house, with acreage and a stunning ocean view, for under half a million dollars. 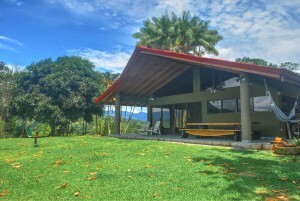 No, it’s not a misprint, this beautiful house is located just outside of Dominical, Costa Rica, and is listed at $489,000. You could be the owner of this amazing home for less than the cost of a one-bedroom apartment in Vancouver, New York, or San Francisco! This gorgeous tropical home was designed to soak in the incredible views available in almost every direction. Floor to ceiling windows bring the outdoors in. 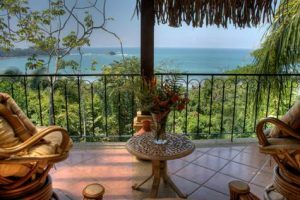 From the open living room and kitchen, watch the waves breaking along the coast all the way to Manuel Antonio National Park. The living room and bedroom also enjoy dramatic mountain views, including sunrises over Mt. Chirripo, the highest mountain in Costa Rica. Sunsets over the ocean will light up the sky and can be viewed from the house, large porch with dining area and lounge chairs, or the teak sunset deck. 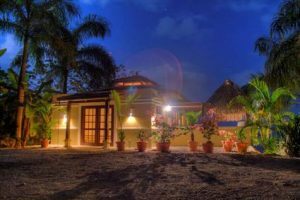 The house is situated on 2.5 acres of land, with numerous mature fruit trees including bananas, limes, mamones, and mangos. It is located in the prestigious Lagunas community, with excellent water and roads. Because it’s 900 feet above sea level, it benefits from cooling breezes in the mornings and evening, and cooler temperatures at night. Even though it’s in the hills, driving to the beach in nearby Dominical only takes about twelve minutes! This home combines an open, modern floor plan with a rustic, contemporary style. The house features a great room with combined kitchen, dining, and living spaces. A dramatic hardwood bar made from a single slab of wood connects the kitchen and living room and provides space for meals or entertaining. The kitchen features high-end stainless steel appliances, gas stove, and cedar cabinets. There are two bedrooms and one bathroom. The bedrooms are spacious and bright, with handmade wooden beds, side tables and closets. The bathroom is large, with a walk-in rain shower, a beautiful hardwood counter, and a hand-painted sink. There is also a dehumidified, secure storage bodega with washer and dryer, a 2-car covered parking area, and an alarm system and gate. All the furniture in the home is included in the sale. One of the best features of the house is the sunset deck with outdoor tub and shower. This teak deck was added in 2016 to take advantage of some of the best views on the property. A gorgeous Balinese stone bathtub sits on the edge of the deck, along with an outdoor shower. Watch the sunset over the ocean, or look for shooting stars under a dark night sky, while enjoying a soak in the tub. The deck is also perfect for yoga or for simply relaxing in a lounge chair with a book. There’s also plenty of space to add a pool with rancho next to the sunset deck and in front of the house. A second building site, separate from the main house, makes this property unusual. This second building site is currently home to an organic greenhouse and caretaker’s cabin, but it could easily be developed with another luxury home or rental house. This property has the potential for expansion, allowing for a business opportunity or a larger family. This ocean view home for sale is special and unique. The views are stunning in every direction, the home is modern yet rustic and comfortable, the community is safe and convenient, and there is opportunity for future growth. It’s the perfect home for a young couple who wants to expand, a retired couple who wants to keep it simple, business partners looking to develop rental homes or cabinas, or anyone who loves ocean breezes and sunsets. Don’t miss out on this fabulous opportunity! 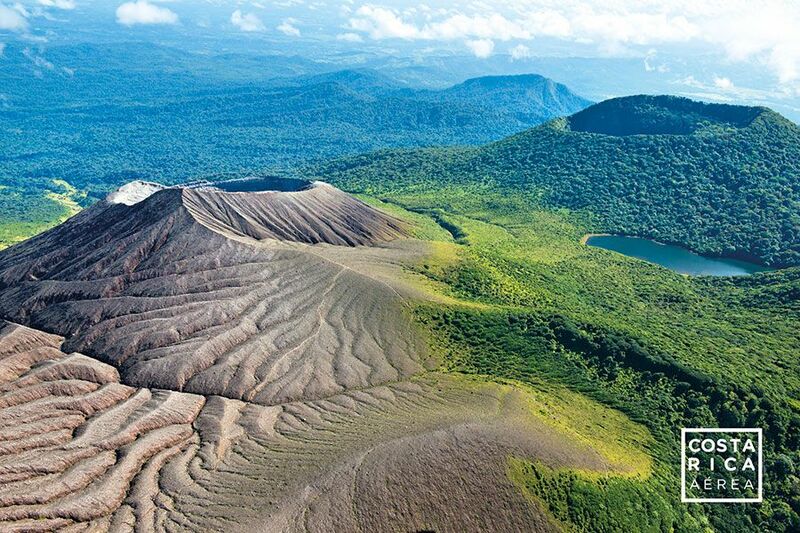 Costa Rica has a large number of protected National Parks that are popular with both tourists and locals. One of the distinctions of Manuel Antonio National Park is that it’s located right on the beach, and just minutes from Quepos, Puntarenas. There’s plenty to do in the park, from walking tours, to water sports, and also animal watching. Visitors head here for the great beaches and hiking trails where they can see lush plant life and different types of animals. 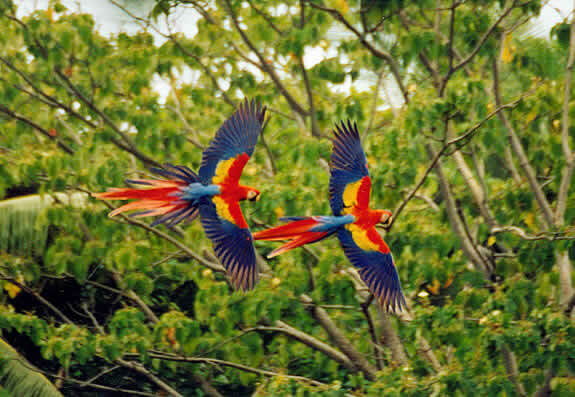 The park is situated on the southern coast of Costa Rica. It’s part of the Central Pacific Conservation Area where plant and animal species are protected without fear of building development. This park encompasses over 1983 hectares of land and had its name first established in 1972. There aren’t too many parks around the world that can boast having great sandy beaches. You can stand on the beach, yet see the mountains and forests lingering in the background. There are also some beautiful coral reefs. When you arrive at the park, you will find the Visitor Centre, which was designed by well-known architects and provides information to tourists who are new to the area. Here you will find guides who can provide tours through the park and offer information about the many different types of animals and plants found there. Besides sea life the park is home to nearly 184 species of different types of birds, and nearly 109 species of different types of mammals. 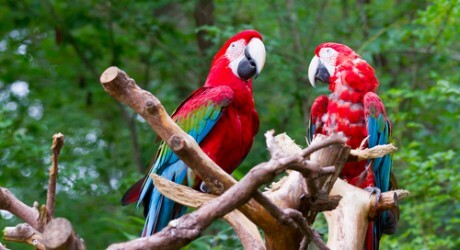 You’ll be able to see birds animals here that you don’t see in the US, such as monkeys, sloths, and toucans. If you decide to try one of the many trails at the Park, there are over eight to choose from. Waterfall, Lookout, and Beach Espadilla are popular trails where you can see plenty of breathtaking sites. There is an approximately one hour walk that begins at Esapadilla, and ends at the top of Punta Catedral. The lookout at the top of this route is spectacular and is perfect for many photo opportunities. After a good hike through the forest many people like to relax on one of four beaches inside the park. It will be a difficult choice between Espadilla Sur, Manuel Antonio, Playita, or Teloro, because each beach is very beautiful. These beaches have soft pale sand where the family can wind down at the end of a long day. Tidal pools add to the landscape. Some of these beaches have lifeguards to ensure the safety of water activities. The beaches with tidal pools have snorkeling programs where you can get super close to sea life. You can also try scuba diving, sea kayaking, and mountain biking. There is lodging nearby for those who wish to visit for a while, as well as plenty of restaurants and other facilities. 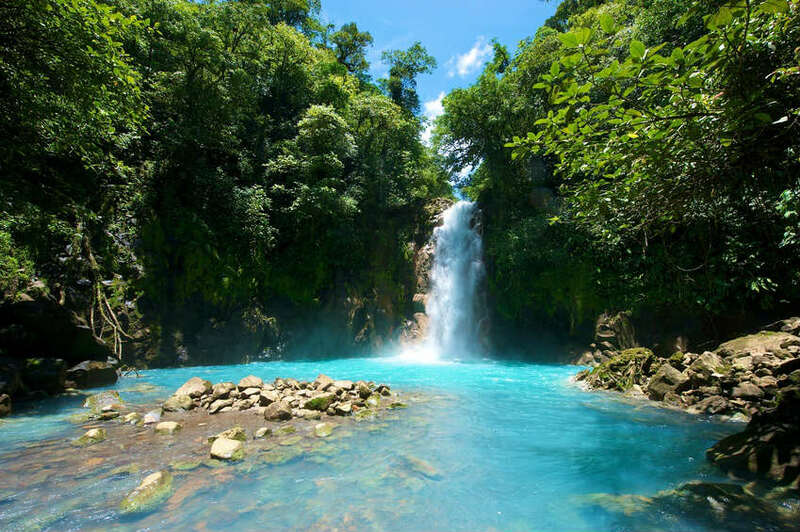 When you visit Costa Rica you’ll want to include a trip to one of Costa Rica’s top national parks, such as Manuel Antonio, to experience the beauty and nature that this country has to offer. If you’ve decided to move to Costa Rica you’ll need to set up a bank account to either prove income source, or to have a way to deposit rental or company earnings into your bank account. While you’ll definitely need to set up a bank account if you’ve applied for Costa Rica status, in some instances they allow the tourist and student to set up an account too. In Costa Rica, you’ll find a range of different banks. You may recognize Citibank or Scotiabank from Canada and the USA. There are also international banks with branches here. 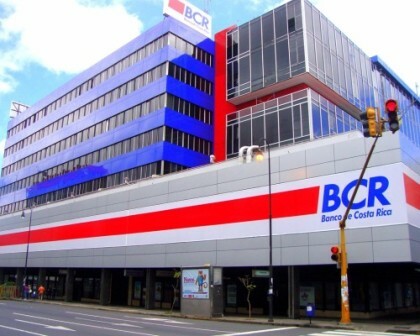 You’ll have the option to open up an account in Dollars or Colones —official currency of Costa Rica. Setting up an account may be more cumbersome than setting up one at home. There can be a lot of paperwork involved. It’s best to remain patient—it will be done in time. Even daily transactions may involve more time. Should you decide to open an account with a state-owned bank, there can be many benefits. For one, your deposits will be guaranteed. You’ll also find more banks to do your banking, with extensive branches throughout the country. This is beneficial if you live in a remote part of the country. This can already cut down on part of the time required to bank in Costa Rica. To begin the process, you’ll start with a savings account. These usually offer a small amount of interest that can accrue over time. You will receive a debit card that you can use to deposit cheques at one of the ATM machines. The bank may also offer an international debit card that you can use in your home country, or when traveling abroad. If you choose to use a state-run bank, expect longer lineups on the 15th and last day of each month. You can avoid some of this by using the ATM. You may choose to use a private bank. These will often be bilingual, and they’ll have better service, and fewer lineups. Before deciding to open a bank account, ensure that you have the following documentation with you, otherwise you’ll have to return to your home to get it and waste more time. You’ll be required to have your DIMEX card—Documento de Identidad Migratorio para Extranjeros. Tourists need only show their passport, but if you’re a foreign resident, you’ll need to show this card. If you do not have residency it is much easier to open a bank account using a local corporation known as a Sociedad Anonima. A local attorney can help you set one up. You’ll also be required to deposit a minimum amount. Find out in advance if it’s $25, or $1000. You’ll need to show the bank a utility bill for proof of residence. You also need to provide a proof of income. For USA citizens, you’ll need to fill out several forms and documents to let the IRS know that you are opening an offshore bank account. Expect to be able to visit your chosen bank during the weekdays, from 9 am to 4 pm. If you’re considering purchasing property in Costa Rica, please give us a call and we can help you with your questions. 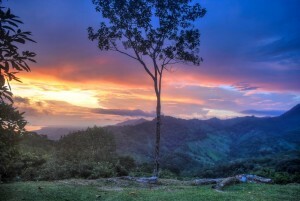 Costa Rica is one of the nicest countries in Central America that offers plenty of real estate opportunities. The country is really appealing to those that want to invest in real estate property due to the lower costs of living and the nice scenery. 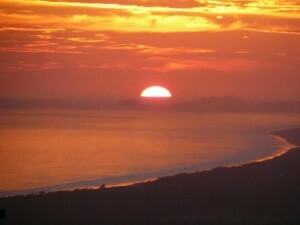 There are lots of homes for sale in Costa Rica, and it all depends on your personal choice. You can find all kinds of homes, stunning villas, cottages, bungalows, beach houses and other properties which you can buy at affordable prices. One great advantage for buying a home in Costa Rica is their good property laws. They are completely the same for both Costa Rican residents and foreigners, so there is no unnecessary bureaucracy. There is no requirement for you to live in Costa Rica in order to own a house. Property tax is also relatively low, and there are many other advantages for you to look at the market and search for homes for sale in Costa Rica. the country is like having a house in paradise.  Amazing homes. All kinds of properties can be found in Costa Rica for any pocket. North or South or Central America and Europe. harsh winters and chilly autumn seasons. species in the world, which makes it a very exciting and exotic place to own a home. 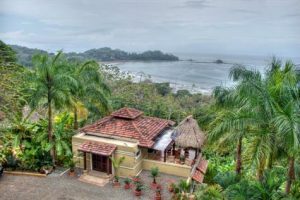 so buying a home in Costa Rica is a great investment choice. countries. That makes them perfect place for investing money into properties. and respected. 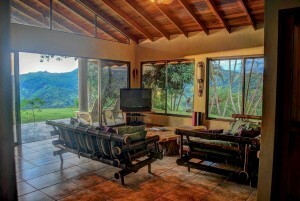 You will definitely feel at home if you buy a home in Costa Rica. There are many fun festivals in Costa Rica. If you are interested in music, surfing, craft beer, yoga, art, or all of the above, there is a festival for you the southern Pacific zone! Festivals area draw for locals and tourists alike, and they provide a great place to connect with others with similar interests. The festivals in the area make this a wonderful place to live or own real estate. One of the biggest and most exciting festivals in Costa Rica is the Envision Festival. This 4-day celebration of art, music and yoga is truly special and unique. Visitors from all over the world come to the Envision Festival to attend workshops of all kinds, view and create amazing pieces of art, and dance the night away. Held on an old pasture just south of Uvita, the Envision Festival grounds have direct access to beautiful Playa Hermosa. Watch the sunset, learn to surf, go skinny dipping at sunrise - this beach is incredible! Although it is hard to top the natural wonders available at the Envision Festival grounds, the incredible art pieces give Mother Nature a run for her money. Visit the art gallery, watch a live painting exhibition, or enjoy one of the many art installations dispersed throughout the grounds. Even the stages are incredible pieces of art - for example, last year musicians and dancers performed from within a driftwood jaguar’s mouth. Other art pieces are more hidden, but worth seeking out. A personal favorite from previous years was the human-scale spider web, constructed with stretchy rope in the trees. Climb the bamboo bridges and leap into the spider web, if you dare! Many come to the Envision Festival primarily for the music. There are three stages offering awide variety of music from mid-day until sunrise. Live bands and DJs from all over the world perform at the Envision Festival, and the festival attendees love to dance! Stay for Random Rab’s sunrise set, if you can endure all night. Envision is held every year at the end of February or beginning of March. Visit www.envisionfestival.com for more information. 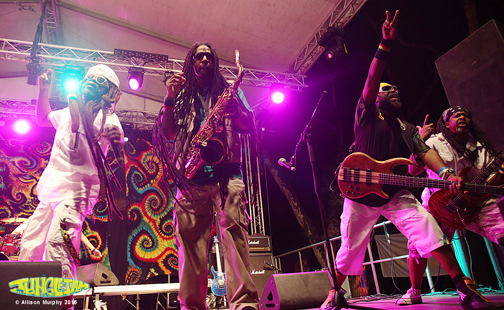 If you love music, especially reggae and jam bands, Jungle Jam is a festival in Costa Rica which is not to be missed. Held annually in March in Jaco, Jungle Jam is primarily a music festival. In past years, this four-day event has featured artists such as Thievery Corporation, Steel Pulse, Karl Denson’s Tiny Universe, and Max Creek. Music begins in the afternoon and late night shows continue until dawn. If you attend Jungle Jam, during the day you can also enjoy all that Jaco has to offer, from luxury condos and hotels, to excellent restaurants, to the lovely beach. For more information on Jungle Jam, visit www.junglejam.com. In recent years, there has been a explosion of craft breweries in Costa Rica. The Costa Ballena Craft Beer Festival is a festival in Costa Rica that offers a chance to try many local varieties of beer and mead. Each year in January, brewers from all over the country congregate in the Uvita area and offer samples of their concoctions. The Costa Ballena Beer Festival is obviously a fun event people who enjoy drinking craft beer, but even if you don’t drink, it is a great social event that draws crowds from all over. Visit www.ballenabeerfest.com for more information. If you’re more interested in outdoor activities than beer, music, art, or yoga, then Pilon Paddlepalooza is for you. The Pilon Paddlepalooza is a multi-day competitive festival in Costa Rica consisting of various events, such as a long-distance SUP race, a SUP surf contest, and our personal favorite, the SUP surf slalom. The Paddlepalooza is good clean fun for all ages. If you are an experienced paddleboarder, go for the gold! If you’ve never set foot on a SUP, that’s okay too. Event organizers Shawn and Nathalie are excellent teachers, and you may win a prize even if you come in dead last. Good sportsmanship goes a long way at the Paddlepalooza! Pilon Paddlepalooza is held annually in August in the town of Pilon, which is near Pavones in the farthest southern reaches of Costa Rica. It is a magical place where you will find pristine deserted beaches, an abundance of scarlet macaws, and perfect waves. Check out www.aguavidasurf.com for more information. As you can see, there are an abundance of festivals in Costa Rica, and there is a festival to suit any taste in the southern Pacific zone. Whether you’re an athlete, an aspiring yogi, an artist, a dancer, a musician, a connoisseur of great beer, or just someone who loves to have a good time, you will find an opportunity to explore your interests in the southern Pacific zone of Costa Rica. Thinking about purchasing real estate in the Dominical area? Whether you plan to live here full time or buy a vacation property, the variety of festivals in Costa Rica will add value to your investment. From Manuel Antonio to Ojochal, there are many excellent restaurants in the southern Pacific zone of Costa Rica. Whether you are looking for a romantic meal, a family dinner, or a night out with friends, the southern Pacific zone has a restaurant that can meet your needs. Today, we will focus on restaurants offering dinner; check back later for another blog covering your breakfast and lunch options! 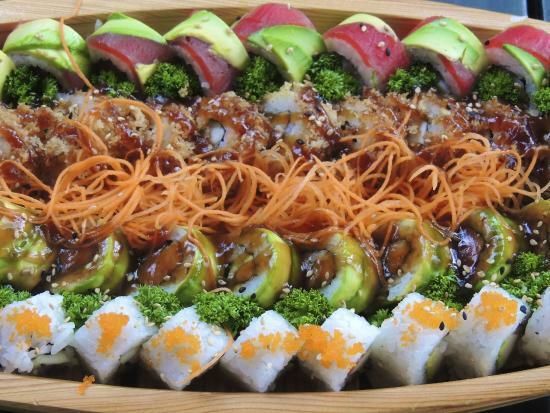 If you’re looking for a fabulous dinner in Dominical, don’t miss Dominical Sushi. Their sushi rolls and sashimi are excellent and very fresh! Our favorite roll is the Summer Roll, which combines crispy tempura shrimp with a creamy sauce. Other standouts are the Tico Roll and the Dominical Roll, which incorporate fresh fruit. The miso soup is also excellent, and somewhat unusual, as it is garnished with chunks of fresh avocado. Patron’s restaurant, Dominical’s newest addition, is also worth trying, especially if you are looking for a more refined experience. The ambiance is sophisticated, there is an extensive wine list, and they have two excellent microbrews on tap. Everyone loves the ribs, which are slow cooked and fall off the bone. Patron’s also offers concerts regularly, with big names such as Gyptian and Debbie Nova. Rounding out the dinner offerings in Dominical is Tortilla Flats, a great beach bar and restaurant with a fun vibe. Early in the day, this restaurant is perfect for a family meal; watch the waves break from your table while the kids play pinball. Later in the night, Tortilla Flats turns into a beach bar with a fun, relaxed vibe. Looking south of Dominical, Porque No is one of the best restaurants in area. Located at the Costa Paraiso hotel, restaurant guests are able to enjoy a beautiful, dramatic view of waves crashing against rocks. Go for the view, stay for the food - in addition to numerous delicious entrees, Porque No offers coal-oven pizza, excellent salads, and the locally famous Porque No pulled pork sandwich. Further south, check out Cuna del Angel. The elegant restaurant at this hotel has a very extensive menu. Don’t miss the Truffle Portobello soup - it is out of this world! And be sure to save room for dessert. You won’t want to miss the show put on by the waiters when they dim the lights and wheel the flambé cart to your table. This restaurant also has the unique attribute of being completely gluten-free! Don’t let that scare you though, you would never know you’re not eating gluten. Even further south, in Ojochal, Ylang Ylang restaurant is another favorite. Run by a Dutch husband and wife who both grew up in Indonesia, the flavors at Ylang Ylang are delicious and authentic. The menu changes nightly, and the owners are happy to recommend a dish to suit your taste. There is also an extensive wine list. In Manuel Antonio, options abound for excellent dinners. One of our favorites is El Lagarto, an unusual kind of barbecue. At this restaurant, a fireplace full of hot coals is mounted on a wall and attached to two conveyer belts. Hot coals are shuttled down the conveyer belts to the grill, where chefs cook up fish, meat, vegetables and potatoes with an herb butter good enough to eat alone. El Lagarto is an experience not to be missed! La Luna Restaurant at Gaia is also an excellent choice. Be sure to arrive early enough for happy hour, where you can watch the sunset in a comfortable lounge chair while sipping on delicious cocktails and nibbling on appetizers - all at happy hour prices! Stay for dinner and enjoy a romantic, fine dining experience. In addition to the regular menu, La Luna also offers a vegetarian menu. All of these great dining options make the southern Pacific zone of Costa Rica an excellent place to live or visit! Whether you want a special date night with your partner, or you didn’t make it to the farmers’ market, or you just don’t feel like cooking, there’s plenty of options for everyone. So contact Dominical Real Estate today about finding your dream property. 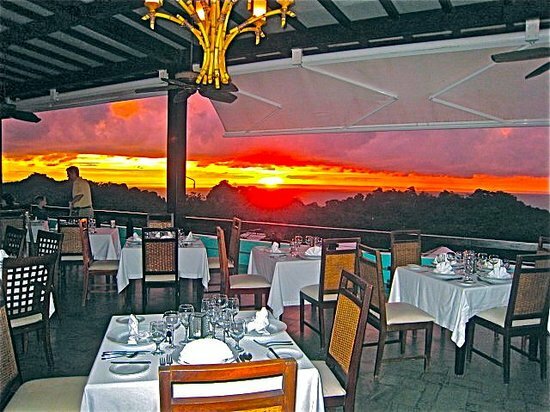 If you are considering relocating to Costa Rica or investing in a rental property here, restaurants like these will make you and your guests feel at home.